Can a Hot Water Heater Blanket Save You Money on Your Energy Bills? There are hundreds of ways—both big and small—that you can save money on your energy bills by making your home more energy efficient. Yes, even during the freezing cold months when all you want is to take a hot bath and then hibernate under your favorite blanket. You’ve probably heard about using an extra blanket to stay warm at night instead of turning up the heater, but have you considered wrapping your hot water heater in an insulation blanket? It makes a big difference during the colder months, as you can imagine, but it’s also an effective way to save money year round. What is an Insulation Blanket? Do I need a Hot Water Heater Blanket? Will a Hot Water Heater Blanket Save Money on my Energy Bills? An insulation blanket, or hot water heater blanket, is exactly what it sounds like. It’s a blanket that wraps around your hot water heater to keep it from losing heat. It also helps your hot water heater to maintain a consistent temperature. Insulation blankets are made up of a variety of materials—from foil and fiberglass to denim—depending on how much insulation your hot water heater needs. They’re rated on their R-value, which measures thermal resistance. The higher the R-value, the more insulation it will provide. The materials of the blanket affect the R-value, and so do the density and thickness. For a hot water heater in a room such as the garage or outdoor closet—a place that typically isn’t climate controlled—choose a blanket with a higher R-value. 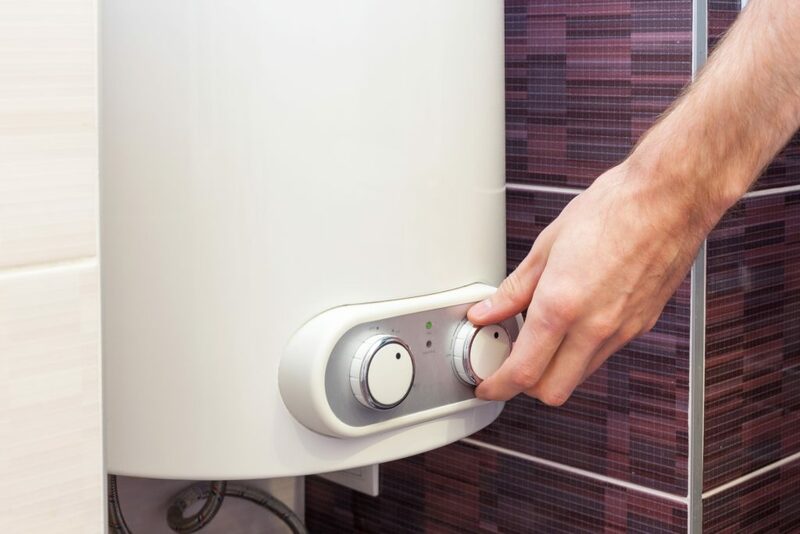 Depending on the age of your hot water heater, it may be worth it to replace your hot water heater instead of just insulating it. Most HVAC professionals recommend hot water heater blankets for older models of hot water heater, but installing a new hot water heater may be more cost- and energy-efficient in the long run. There are a few things to take into consideration before immediately wrapping your hot water heater in a blanket. First, where is your hot water heater stored? If it’s in a closet inside your home, it probably doesn’t need more insulation from the blanket since the temperature of your home is keeping it warm. But if it’s in the garage or an outdoor closet, where the external temperature is significantly different than the hot water heater itself, a hot water heater blanket is a smart choice to retain heat and reduce wasted energy. Second, is there a big difference in temperature between the hot water heater and the indoor temperature? The bigger the difference between the two, the higher the amount heat loss. 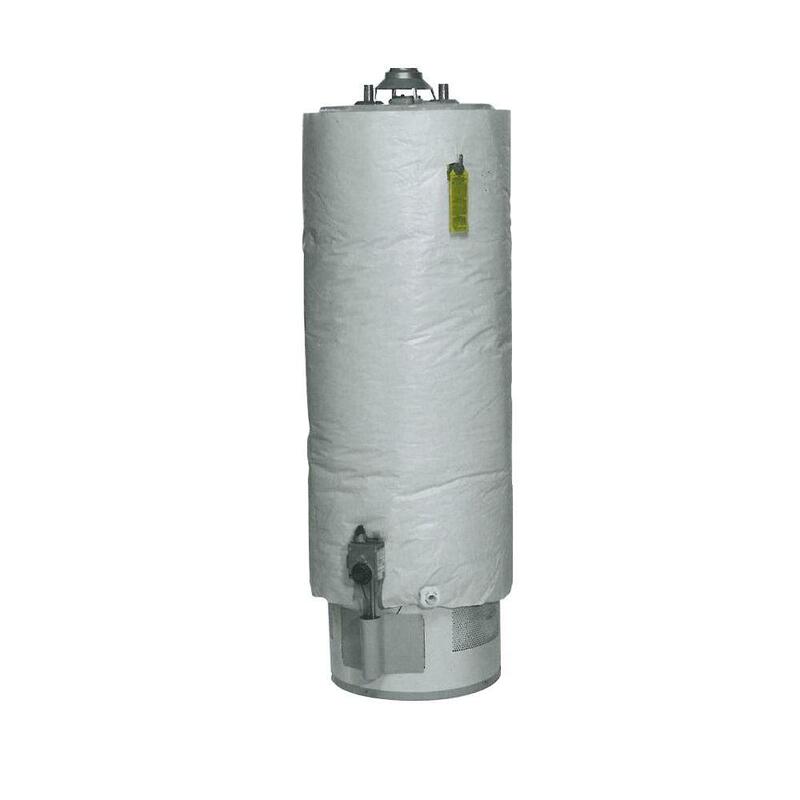 If you live in Minneapolis, MN and your hot water heater is in an unfinished basement or garage, then wrapping your hot water heater in an insulation blanket will save you money. But if you live in Phoenix, AZ and keep your hot water heater in your garage, it’s not as important to use an insulation blanket because the temperature difference isn’t as extreme. Before moving forward, make sure to check the warranty on your hot water heater to see if insulating it will void the warranty. Depending on whether your hot water heater runs on gas or electric will affect how you need to wrap it. If you have a gas hot water heater, use immense caution—it’s very important you don’t smother the flame or have any part of the blanket underneath the heater. Also, make sure you never cover the top of the gas water heater because the exhaust needs a place to exit. If you have an electric water heater, don’t cover the heating-element access panels. As a rule, it’s good to leave both the controller and the pressure and temperature relief valves uncovered. If you’re the least bit unsure of how to wrap your hot water heater, call a recommended HVAC contractor to help install the hot water heater blanket. The short answer is yes, because it maintains a consistent internal temperature—meaning the hot water heater doesn’t have to work hard to raise the temperature of the water, especially with conventional hot water heating tanks. Tankless hot water heaters are generally energy efficient on their own and don’t need an insulation blanket at all. Hot water heater blankets also prevent hot water heater from losing heat to a cold room or outdoor closet. My grandfather, who was always very strict that we keep the doors closed during winter so as not to “heat the entire block,” would be very happy to hear that. Additionally, the Department of Energy warns not to set the temperature of any hot water heaters with insulation blankets over 130 degrees fahrenheit because you can overheat the blanket—which can potentially overheat the wiring. This is, of course, important for safety, but because you’re lowering the temperature of your hot water heater, it will also further save money on your energy bill. And that’s certainly something we can get used to.